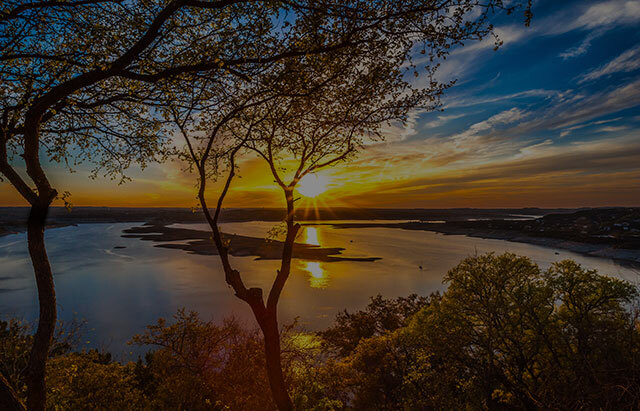 Lake Buchanan Striper Guide Service is what you are looking for eh? Well then, let me tell you a little about myself. Let me begin on a personal note: I have been a striper fishing guide on Lake Buchanan for over 35 years. 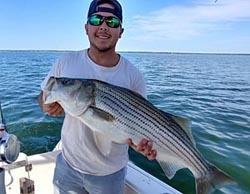 I have caught more trophy stripers than any other striper guide service on the Lake and my clients have caught 2 lake striper records from my boat! I fish out of a 25 Ft. Tidewater center console boat with twin 150 Yamaha motors equipped with all the latest electronics. Anyone can make wild claims on their website, but take a look at my fish gallery photos. As they say “a picture is worth a thousand words”. For my clients, I supply everything except food, drinks and personal items and I will clean and bag your catch for you. 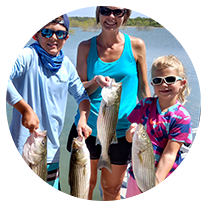 Striper fishing on Lake Buchanan is typically good year-round – even periods when the lake is “down”, the fish can actually be easier to catch. (keep this in mind during the next drought period!) Why you ask? The fish are there, but there is less water for them to hide in! 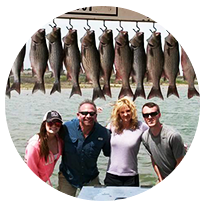 Typically the lake fluctuates every year, but I am constantly fishing and checking conditions on Lake Buchanan so that I can maximize your fishing fun and give you a great, productive trip. Information on lakeside lodging available upon request! 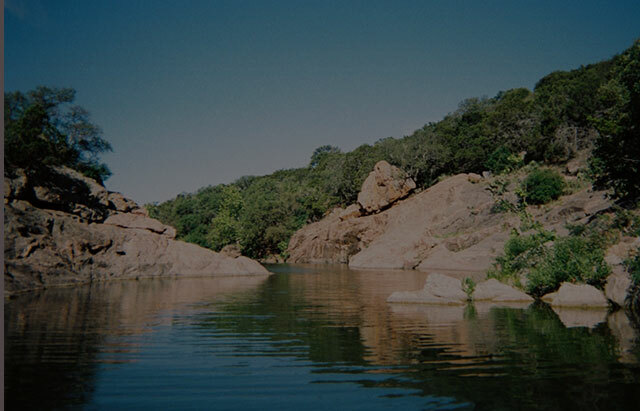 I fish Lake Buchanan in central Texas, one of the lakes in the “Highland Lakes” chain on the Colorado River outside of Burnet, Texas. During the low lake conditions as we have at this time, the striper fishing actually improves by having less water in the lake. It concentrates the fish and makes them easier to find and catch. 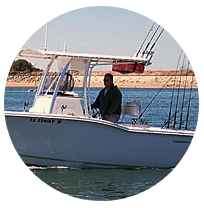 Come fish out of my 25′ Tidewater Center Console striper fishing machine. This boat is equipped with twin 150 Horse Yamaha 4-stroke motors, and a FULL array of state-of-the-art electronics as well as an up-to-date captain. I recently added a huge T-Top for shade and it has plenty of fishing room. Fast – “55 MPH” – dry and very smooth.